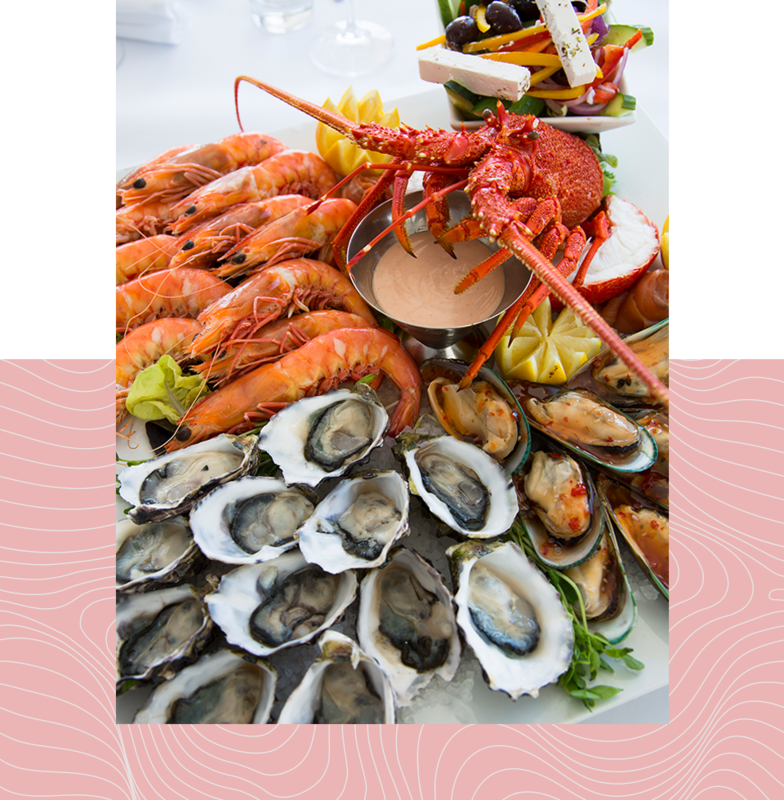 This award-winning seafood restaurant offers quality seafood platters as their speciality. Enjoy fresh, tasty and healthy seafood cuisine, with a spectacular upstairs function room for your next event. With a breath-taking 270° view of both the beach and the Marina, if you’re lucky you might even spot some dolphins! The location is perfect to relax and enjoy the stunning views of the sun setting over the ocean. With a team of friendly staff, why not book your next meal or function with us. Sammy’s on the Marina you’ll never seafood better! "We had a very nice dinner here with some work colleagues. The service of the team was very good with great knowledge of the food and wine and attention through the meal. The food was of a very high quality and served in a timely manner. Thanks for a great night." "We had friends over from NZ and wanted to take them out for a special meal so we chose Sammy’s and we were not disappointed. The service and food were excellent with the fish platters and the Whiting be the stand out dishes. Good wine and a very friendly waitress made it a successful and very enjoyable evening it may be a bit pricey but is worth it, definitely recommend it if visiting Glenelg." "Thanks to all friendly staff for a memorable visit on a sunny afternoon. Very efficient service made a brief visit even more lovely. Our meal was a Seafood Tasting Plate,consisting of fresh prawns,salt and pepper squid,whitebait,and fresh natural oysters. All were very tasty, and well presented, by very attentive waiting staff whose attention to detail really added to our dining experience at Sammy’s." "Highly recommended if you like seafood at its best. The location is fantastic even on a cold windy day, but sensational during summer! Recommended!" "We are in Glenelg on holidays and have been to Sammy’s twice since being here. The food was so fresh and delicious. The service was amazing so friendly and they were so accommodating with our kids."